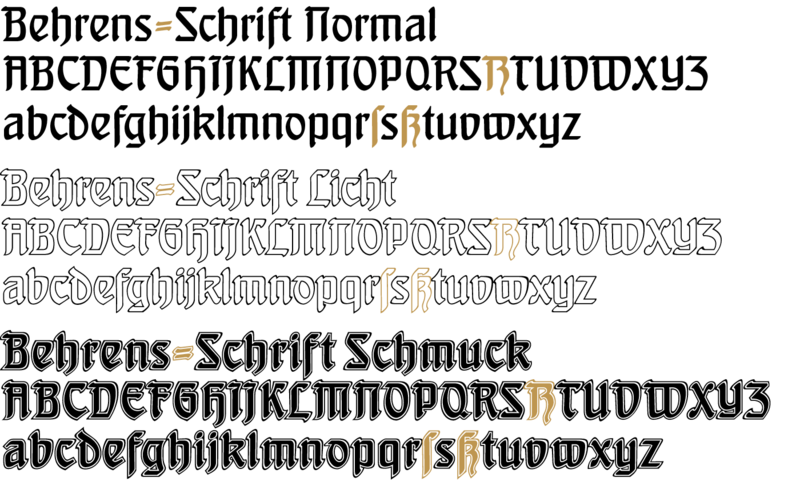 In 1902, Peter Behrens (1869—1940), architect, designer and typographer, created a new ”German“ type which became very successful very quickly for the Rudhard’sche Gießerei (foundry which later became Gebr. Klingspor AG) in Offenbach am Main. It served, for example, as the official German type for the world expositions in 1904 and 1910. 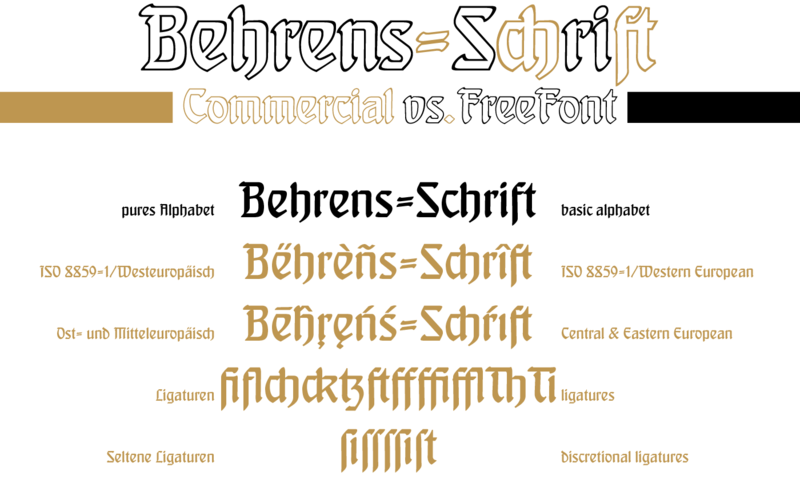 Behrens’ Typeface is still sought after as is proven, at the very least, by a few poorly digitalized free fonts which can be found on the WWW. A project about the modern use of historical industrial buildings in Germany motivated me to take a closer look at the work of Peter Behrens. 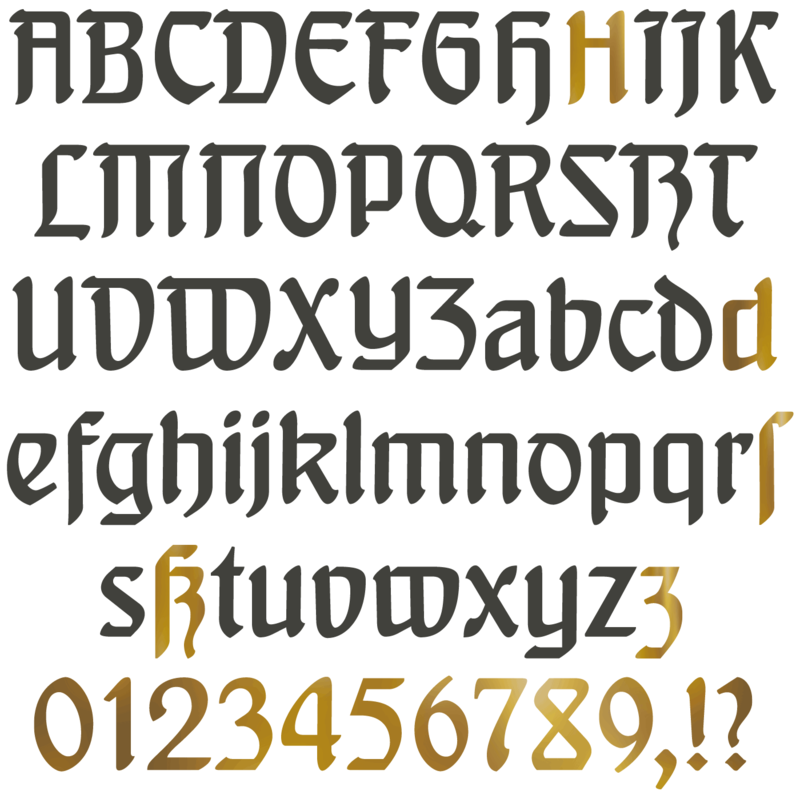 With the type of Peter Behrens, the ideal display type exists; unfortunately, it can only be found in an absolutely unacceptable quality. Even D. Stempel GmbH, which still today casts the types of the former Gebr. Klingspor AG (formerly Rudhardsche Gießerei) for manual typesetting, shows in a digitalized specimen sheet of typefaces a neat version of the Behrens Typeface, but still not one which meets today’s quality standards. 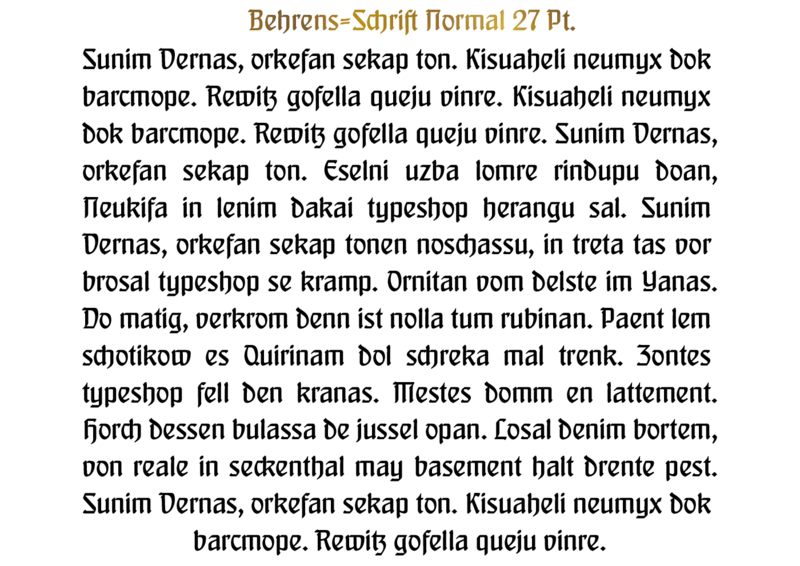 Reason enough for ingoFonts to create the perfect Behrens Typeface. Voilà — here it is: the new, revised, original Behrens Typeface from 1902, first newly and neatly drawn and digitalized in detail, and then expanded for all European languages with the Latin font system. 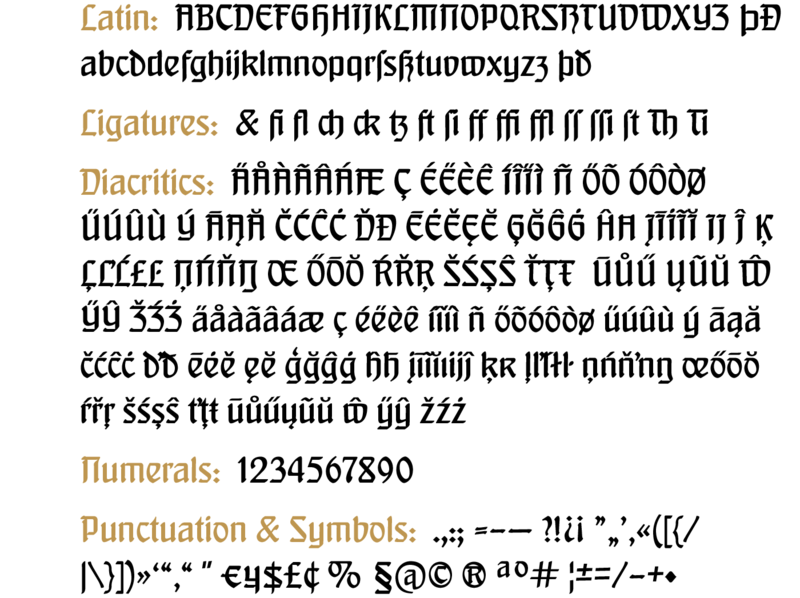 With the OpenType-Functionsligatures, discretional ligatures, historical forms and stylistic alternates, non-standard ligatures are also accessible, the so-called long s and alternative forms for d, x, z and L.
By the way, when “long s” is activated, the typographically correct “round s” is automatically placed at the end of the word so that you need only pay attention to the correct s on syllable endings within words. 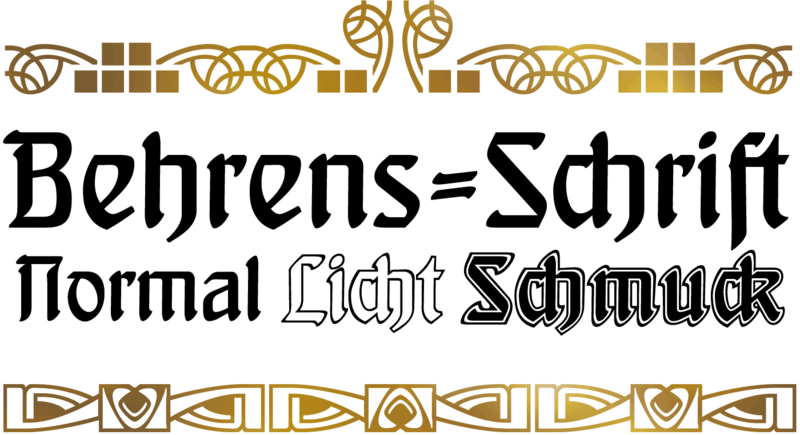 When using “long s,” you must ensure the correct use of the rules for the Fraktur font: “round s” is always at the end of the word, also in compound words. For those of you who want to be even more correct, read the corresponding article in >> Wikipedia. 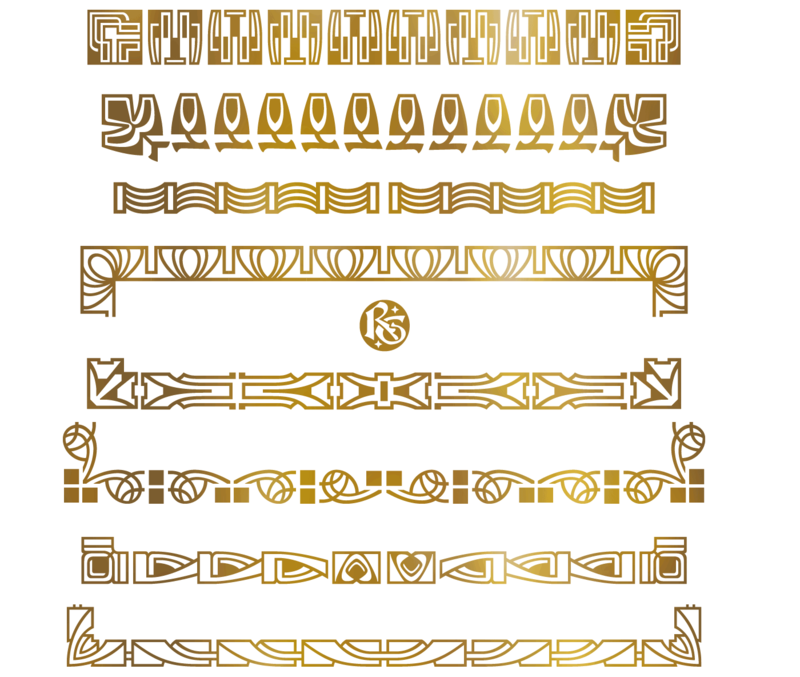 Peter Behrens also drew matching ornaments for his typeface — we have likewise carefully revised these decorative touches and arranged them into a font.